Hope was all but lost when the Celtics fell to the San Antonio Spurs on a Sunday night at the Garden more than two weeks ago. When it’s late March and your team still hasn’t found its identity, the chances of a deep playoff run are slim. This 2018-19 squad has been up and down but overall disappointing. They started 10-10, went an impressive 25-9 over the next two-plus months, then followed that up with an absolutely inexplicable 8-12 showing from February 27th to March 24th. The 12th and final loss of the skid was that game against the Spurs. If there was one positive take-away from that dreadful night, it was Gordon Hayward’s performance. Hayward finished with 13 points and 10 rebounds, good for his second double-double of his Celtics’ career. 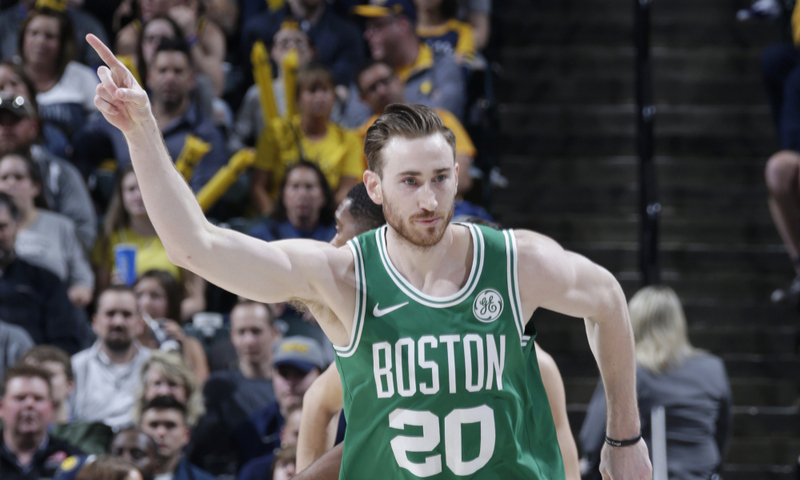 While the performance seemed insignificant at the time (nobody is impressed by a guy going 4-for-11 from the field in a loss), what we didn’t know is that it was the beginning of a personal stretch for Hayward which may actually be the spark the Celtics desperately needed. Gordon reached double figures in his last eight games to end the regular season, his longest streak all year. Over that span, he took 10.3 shots per game and averaged 16.4 points on 58% shooting. His season averages prior to the streak were 8.6 field goal attempts, 10.8 points, 44% shooting. Despite putting up great numbers, Kyrie Irving’s leadership has often been in question this year. On a possibly related note, the young guys haven’t been able to find the chemistry that they had in last year’s playoffs. But even with those blatant deficiencies, the most impactful letdown has been Gordon Hayward’s inability to find any sort of rhythm. The expectation coming into this season was that Irving and Hayward would rejoin a team of young Eastern Conference Finalists and lead them into mid-June. The reality is that Hayward didn’t even come close to being one of the Celtics’ top five players. Prior to his recent resurgence, you could count Hayward’s standout scoring performances on one hand. There was December 1st at Minnesota (30 pts), January 2nd against the Timberwolves at the Garden (35 pts), February 12th at Philly (26 pts), and March 5th at Golden State (30 pts). He’s now dropped 20-plus twice in the last few days, including a perfect 9-for-9 showing against first-round opponent Indiana. It may have taken until game 74, but Gordon Hayward has officially found a rhythm. And if the numbers are any indication, that could mean that the Celtics will be at their absolute best come playoff time and we’ll finally see the great team we thought we had.